So much of this world is temporary. Cuts, scrapes, bruises, hurt feelings. New car smell, warm laundry, fresh-cut grass. Rain, sunshine, thunder storms, fog. Ice cubes cracking in a glass of water. Housing, vacations, backyard camp-outs, 'smores. Smooth legs, glossed lips, flawless mascara. Temper fits, crying jags, benders. Open doors, closed blossoms, movie premiers. Hunting season, baseball season, fire season. Bad haircuts, shaped eyebrows, bikini waxes. Phone calls, cold feet, clean shirts. Cab rides, flights, ticket prices. No mother should ever have to say goodbye to a child. There is no greater nightmare. 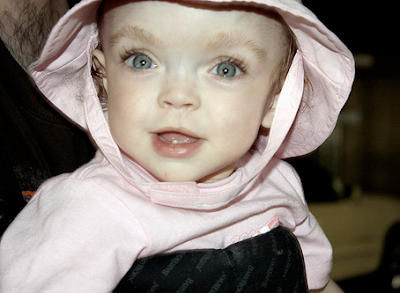 On April 7, 2009, Mike and Heather said goodbye to their sweet, beautiful, blue-eyed Madeleine. Heather, I want you to know that I remember your lovely daughter. I remember her perfect, enchanting face. I think about y'all all the time. I carry your beautiful girl in my thoughts. I'm holding you in my heart. I know it's not enough, that it will never be enough. Diptych will go up on Thursday this week.